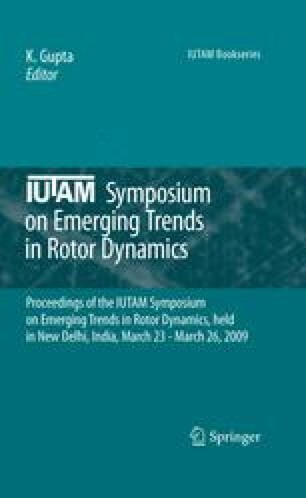 Modified Modal Domain Analysis (MMDA) is a novel method for the development of a reduced-order model of a bladed rotor with geometric mistuning. This method utilizes proper orthogonal decomposition of Coordinate Measurement Machine (CMM) data on blades’ geometries, and sector analyses using ANSYS and solid modeling. In this paper, the algorithm to compute reduced-order mass and stiffness matrices from ANSYS sector analyses are provided and numerical results dealing with variations in natural frequencies and forced response are presented for different patterns of geometric mistuning.